It’s always a good idea to double-check your work before doing something irreversible. 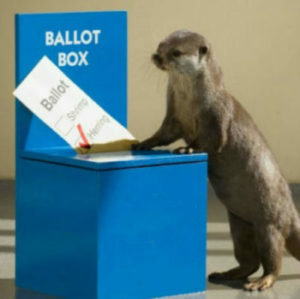 Well, we weren’t quite careful enough this month! The monthly sale is actually 50% off doors! 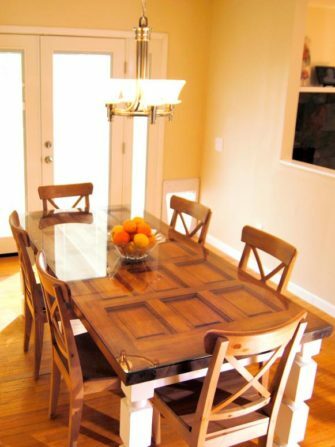 Throughout February, take HALF-OFF doors with orange and blue price tags of $200 or less. 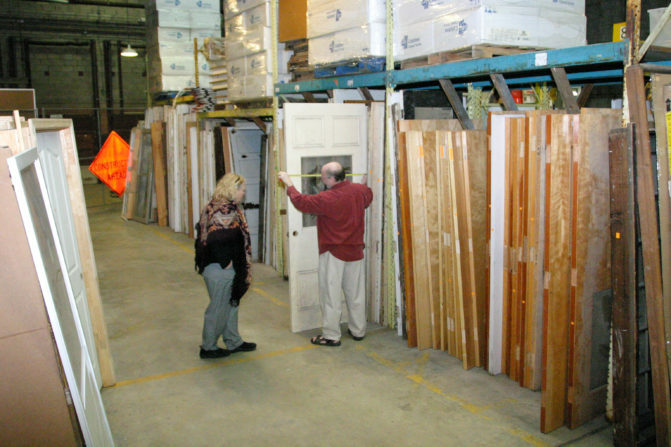 The sale includes many kinds of interior and exterior doors, including antique wood panel doors, oversized doors, modern doors, French doors, bifold doors, louvered, security doors, storm doors, and screen doors. & Orphan Cabinets $15 or less are still free! 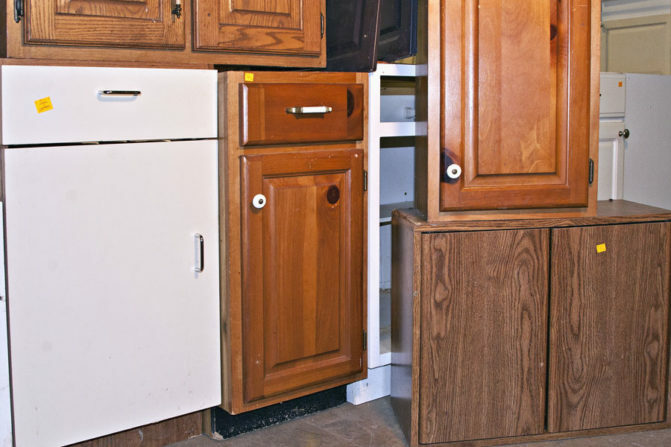 Look for individual cabinets, cabinet doors, and drawers with price tags of $15 or less. This month, they’re free while supplies last! 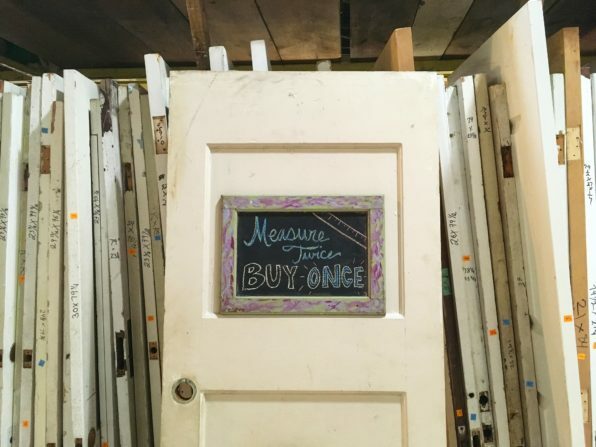 If none of your doors are hanging off their hinges but you still want an excuse to come in and shop for your next home improvement project, check out some of these crafty upcycling ideas, and give new purpose to an out-of-work door! 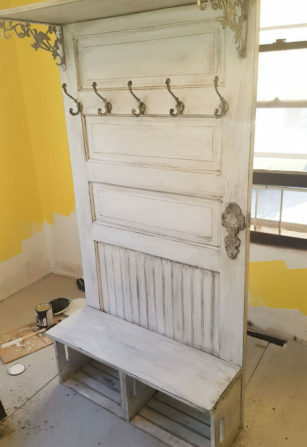 Fashion a hall tree out of a salvaged door like Megan from Buffalo, NY. You could even use a cabinet as the seat base!